Brighten up your dorm room or bedroom with this colorful wooden Texas sign. 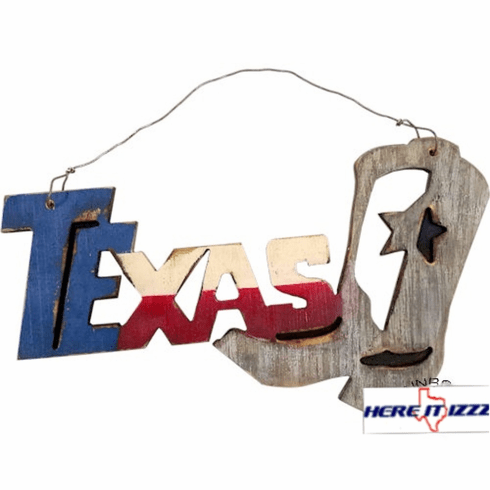 The letters that spell Texas are cut from the distressed wood and painted red white and blue. In contrast the cowboy boot has left the wood in its natural state. Hangs conveniently using bailing wire.